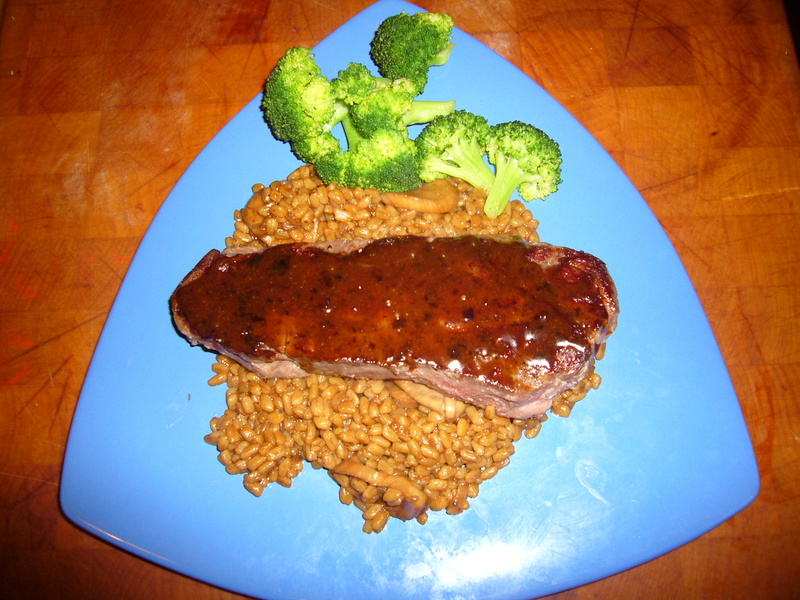 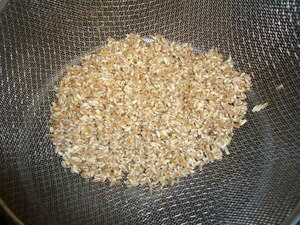 Soak the spelt in water for 20 minutes. 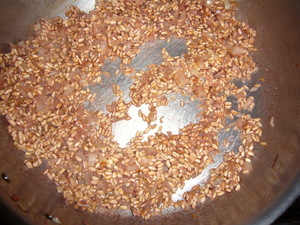 While the spelt soaks, mince the onion and measure out the wine. 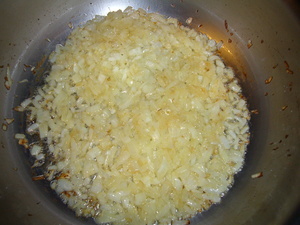 Saute the onion in the butter. 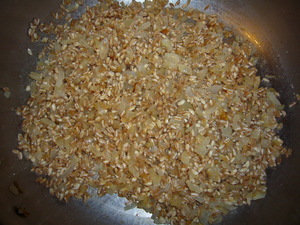 Continue with the onions till they start to turn brown. 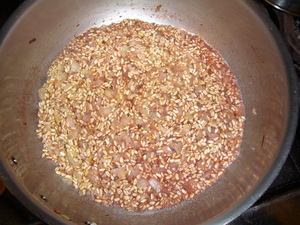 Add the well drained spelt to the onions and continue to brown. 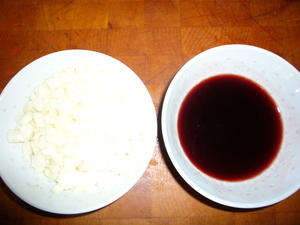 Reduce until the wine is gone. 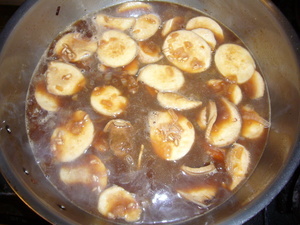 Add the mushrooms, the porcini powder, and the stock. 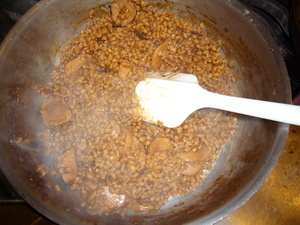 Adjust the salt and pepper, and simmer stirring now and then. 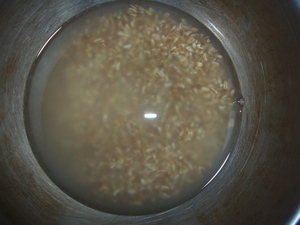 Continue to simmer until the stock is absorbed stirring from time to time. 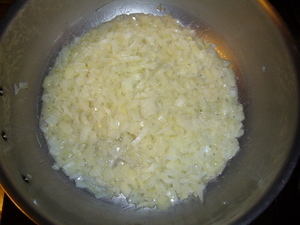 Stir in some parmesean if desired.